Iran’s foreign minister has called for international and regional cooperation in an all-out fight against terrorism and extremism. 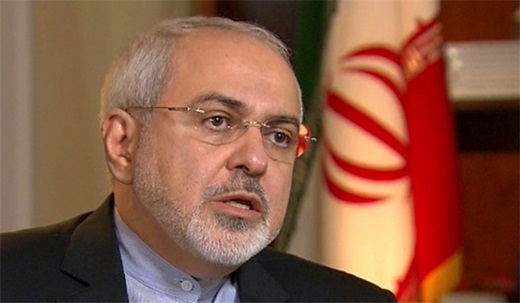 Iranian Foreign Minister Mohammad Javad Zarif has described the policies of the United States and the Zionist regime of Israel as the main reasons behind terrorism in the Middle East. Root causes of terrorism and extremism in the Middle East are the expansionist policies of Washington and Tel Aviv, Zarif said in a Tuesday meeting with a Mexican parliamentary delegation in Tehran. Zarif further called for international and regional cooperation in an all-out fight against the phenomena of terrorism and extremism. Iran had earlier warned of the formation and expansion of the Islamic State in Iraq and the Levant (ISIL) terrorist group and extremism in the region, he reminded. Zarif’s remarks came as Iran attracted attention last year as one of the first countries that anticipated a growing trend in extremist moves in the world. On December 18, 2013, the United Nations General Assembly overwhelmingly voted to approve Iranian President Hassan Rouhani’s World against Violence and Extremism (WAVE) proposal. Also at the meeting, Gabriela Cuevas Barron Chairwoman of Mexican Senate’s Foreign Relations Committee referred to dialog and negotiation as the only way out of regional crises, saying that Mexico supports this approach in the international community.